How is it possible that two years have gone by without an update? When we’ve been busy and crazy and excited and doing so many wonderful things?? To finish off this year, we are THRILLED to say that we have been chosen not once but twice on the Women of Substance Podcast! Our first appearance is the first Holiday Podcast of the year. Podcast #702, date available, Friday November 24th. Please listen and comment! We’d love that!! We’ll update the blog when the second podcast goes live. What’s in store for 2018? Let’s just say, that it’s gonna be “jazzy”… dare we say “edgy”…and we’ve got a friend…not just any friend, but a talented, handsome believer-in-the-Curves type of friend! It’s not quite time for the announcement yet. Details are still being worked out! Check back soon, we’ll be updating you all in January. May you enjoy a most wonderful Holiday season filled with joy and family and friends and most of all, beautiful music! 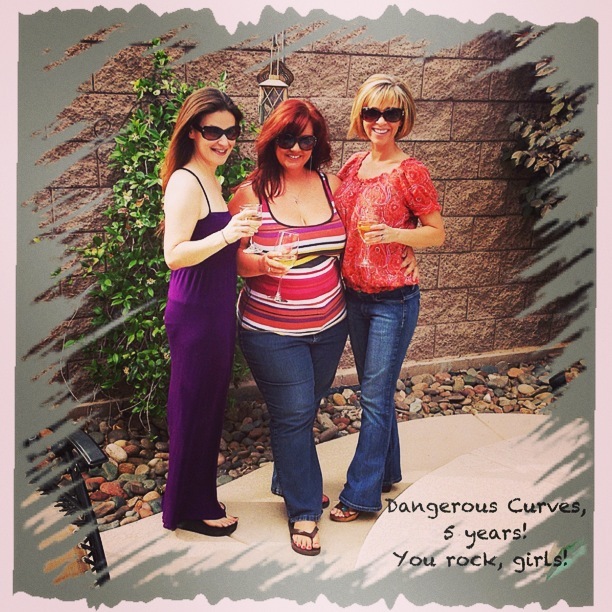 Curves and Girls…and curvy girls! While it may seem like the Curves have taken a detour in their curvy adventures, nothing could be further from the truth! Between our own personal work and the group work, I think we could all use a vacay! And, thank you, Universe for that! We’ll be visiting this space much more in the coming days and we are so grateful that you stopped by! Our next appearance is this Thursday on The Dennis Bono Show at the South Point. All you need is your players card to get in and it’s free! We love Dennis, we are big fans of his and always so happy to be asked back to perform on that beautiful stage. Speaking of free…our next show is completely free AND they will have wine and refreshments available! 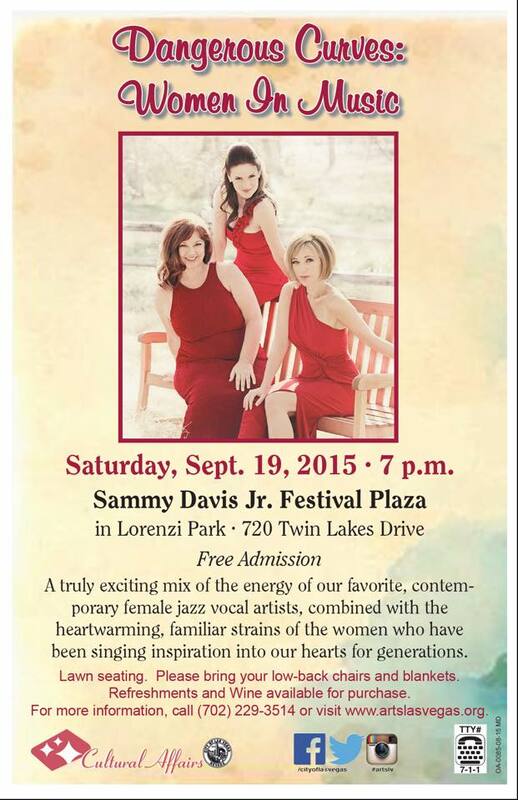 Come on out and enjoy our full show “Women In Music” at the Sammy Davis Jr. Festival Plaza, September 19th at 7pm. We’ll be doing some of the yummy songs of yesteryear like “It Don’t Mean A Thing” and “Orange Colored Sky” and “Cloudburst” and some new freshly mixed favorites like “All About That Bass”, “The Climb”, “Natural Woman” and a whole bunch more, done only like The Curves can do it with lush harmonies and 3 sparkling sing-it-out sisters! We put on shows the whole family can enjoy. Please say hello after the show. We’ll be selling our CDs and some of our Curvy Concessions, too. See you there! Please be sure to check us out at Dangerous Curves Las Vegas, on Facebook, and Twitter! Our fall schedule is a busy one! We have several new shows to let you know about. First up, we will see you at Jim Caruso’s Cast party at the Smith Center! There is always an amazing amount of talent that shows up to sing! Tuesday, September 16th, follow link for tickets! Next up on Thursday September 18th, you can find us at the Dennis Bono Show at the South Point at 2pm! So happy to be asked back, we just love the audience there and Dennis always has a stage full of talent, including himself! 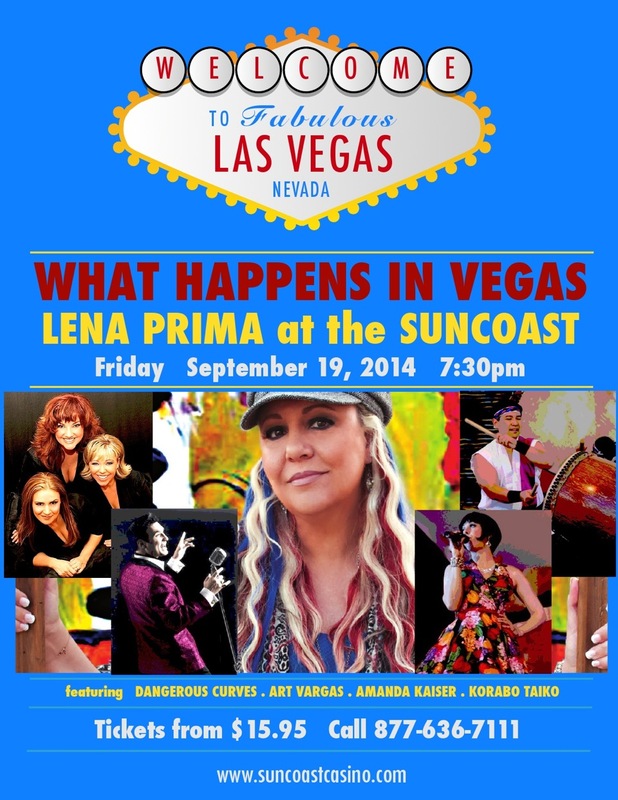 On Friday, September 19th, we are honored to sing with the amazing Lena Prima, daughter of legendary Louis Prima! We are so excited! Here’s all the info you need to come hang and hear a fantastic night of music! And, last but definitely NOT least! We are presenting our show “Finding Harmony on the Road Less Traveled” at the Starbright Theatre on Saturday, September 27th at 7pm! Filled with many of our songs that you love! From Gershwin to Sondheim, Judy Garland to Linda Eder and so much more! We simply can’t wait to see you there. Tickets are limited and available RIGHT NOW ONLINE! Please say hello after the show, we love seeing you all! Phew! It’s gonna be an absolutely amazing month for the Curvy girls and we’d love for you to be a part of it! See you soon! drop us a line or a tweet! End of the Year, 2013! We can hardly believe it is already the end of year, 2013! Did you have a wonderful holiday season? Ours was filled with song and joy for sure. We even received a fantastic review of our Christmas CD, “Star of Wonder” from Don Grigware of Broadway World “Star of Wonder rings in the holidays with joy and mirth…no, harmonious ecstasy! – don grigware” (ok, totally wow!!!) and we are on his “Best of 2013” CD list! Check it out here! We had Christmas performances for the Veterans and at Sam’s Town to absolutely wonderful audiences. In fact our year was filled with great shows with songs ranging in genre from Top 40 at The Aria for a corporate event to an Americana style Fourth of July Spectacular and a really unique conference NAB demonstrating new technology! We sang across our fair city from the South Point to the San Gennarro Feast to the Sun Coast receiving praise and warmth from our loving locals. We are so very grateful for the support and love of our family and friends! backstage with Ron at Sam’s Town Christmas show! Top 40 convention gig at The Aria! The three of us together are more powerful than we realize! Join us on our journey and let us know how you will empower yourself this year! How many days until Christmas?!?! The other day at rehearsal we realized there was a VERY slight chill in the air. Heck, we here in Vegas think that at 70 degrees you gotta have a jacket on! Yup, Fall is upon us and that means the season of holidays are here! Yay! Starting with Nevada Day on October 25th , of course. Then, there’s Halloween on October 31st. Daylight Savings Time ends on Sunday, November 3rd and a biggie on November 28th, Thanksgiving Day, which ushers in the official Holiday season…a season filled with parties and family and friends and beautiful music! 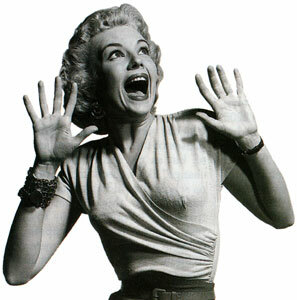 you just might go into panic mode! Hey! Don’t worry! We’ve got you covered! Maybe, you just need some Holiday music to play at home or in the car. Perfect! Click on our lovely CD cover! Perhaps, you need a Holiday Show? Fabulous! Here ya go! As always, we are honored to sing for you and share our love of music with you! 2013 curvy summer mash up! From Top 40 at the Aria for a major corporation to the NAB convention demonstrating stage cameras while performing live! 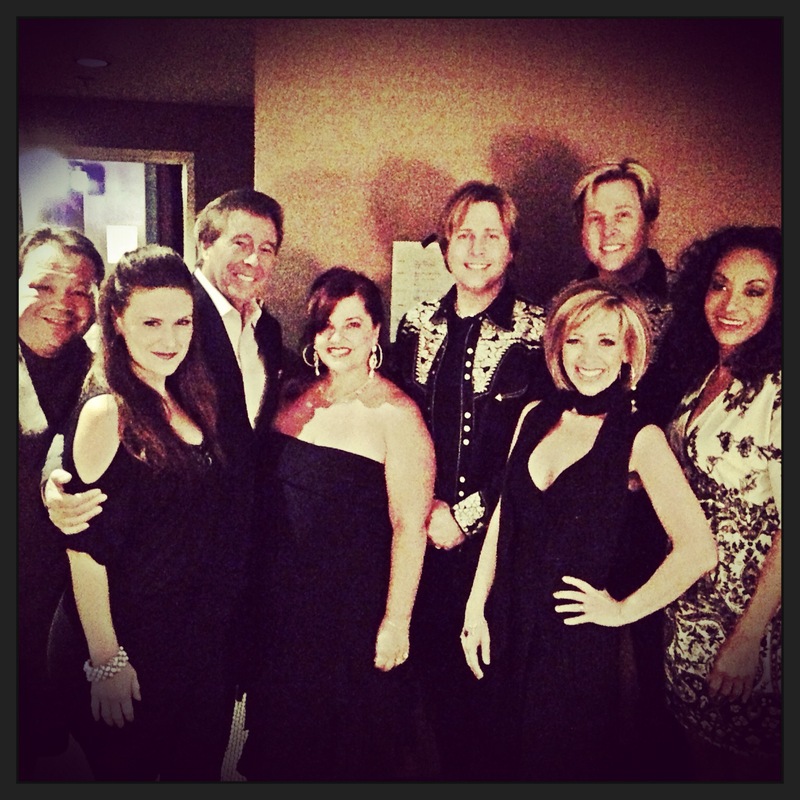 We love singing on the Dennis Bono Show at the South Point Hotel and Casino! Dennis Bono & guests! We are so lucky! 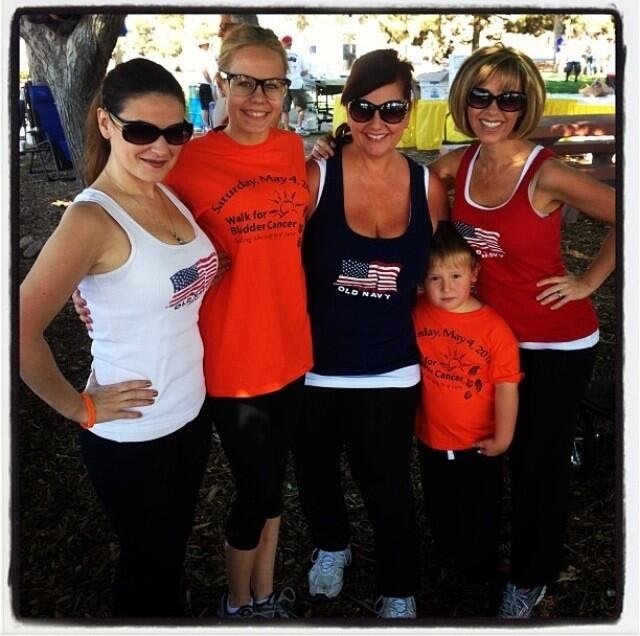 Singing the National Anthem for our friend Jaden and her event the National Bladder Cancer 5k walk….and yes! we did the walk! Even Karen’s Little Man got in on the action! We just can’t believe how 5 years have passed so quickly! We celebrated with some delicious wine and the Tony Awards! Music, friendship and wine, what could be better! The Smith Center for Performing Arts is absolutely gorgeous! 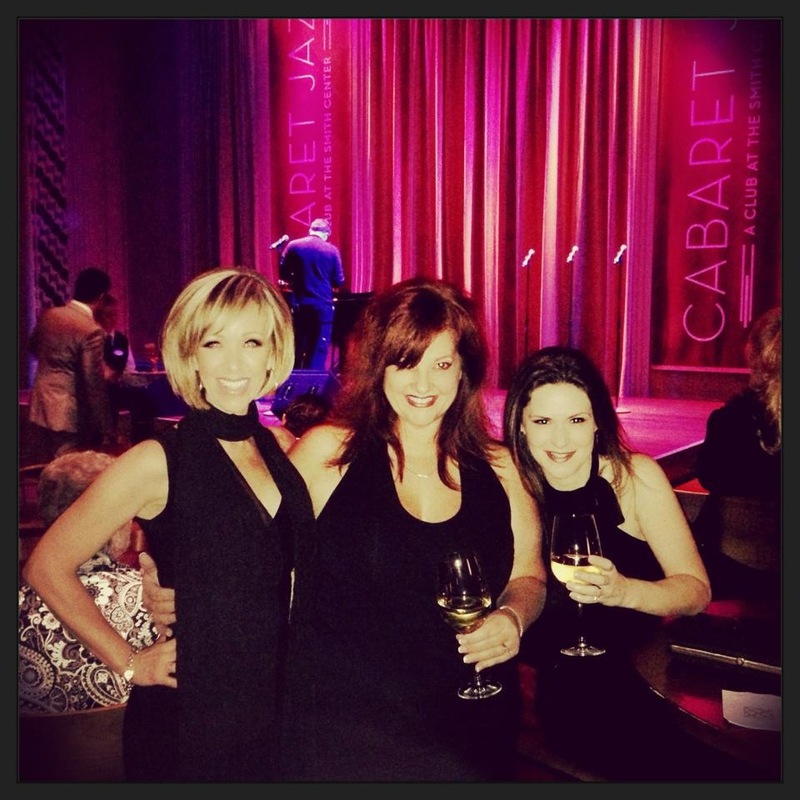 Our fave place, the Cabaret Jazz room, of course! 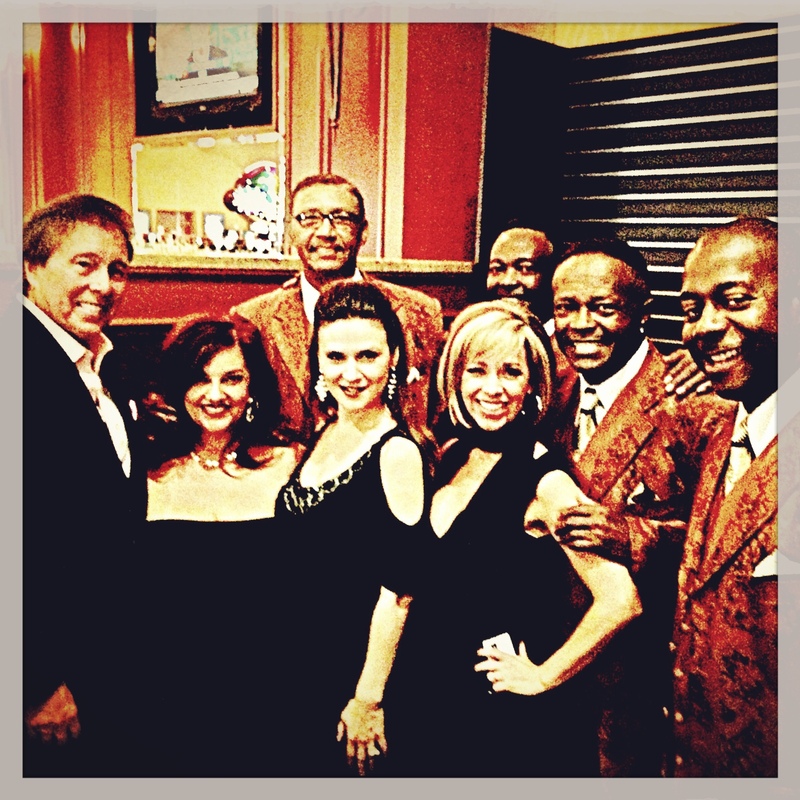 On this night, we sang with some of our city’s greatest entertainers, with Billy Stritch on the piano and Jim Caruso as the host! 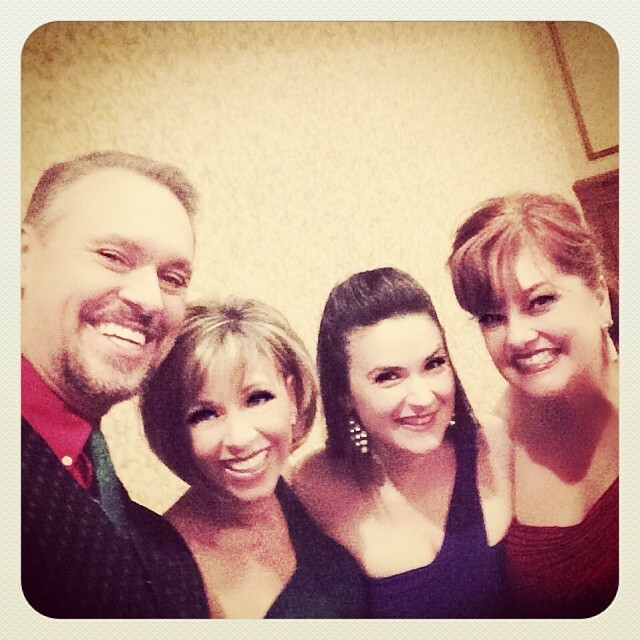 Singin’ at the Smith Center for Cast Party! We have a fabulous new show! 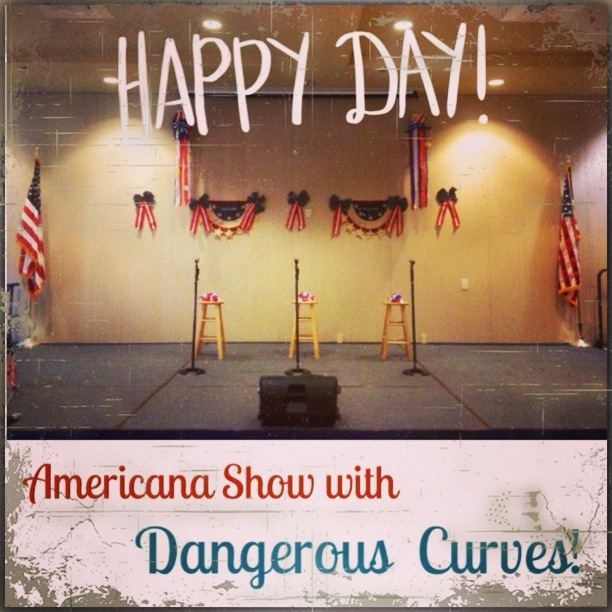 Our Americana show features the songs from the Great American Songbook and as it was a Fourth of July celebration, we also included a patriotic section. All decked out in red, white and blue! 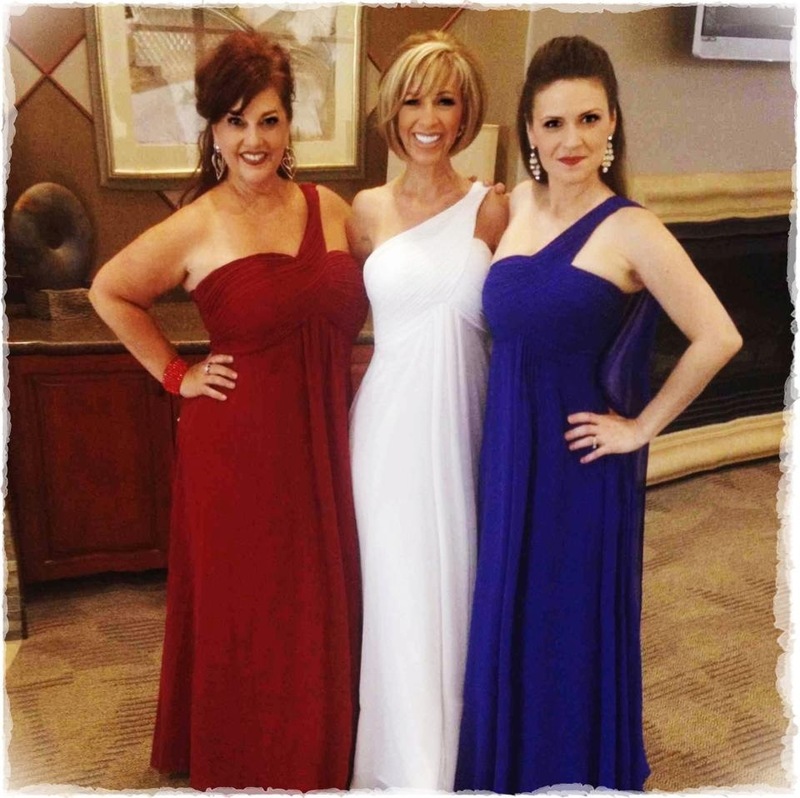 workin’ the red, white and blue! So that’s our year, thus far! More to come for sure! See you soon and enjoy the rest of your summer! 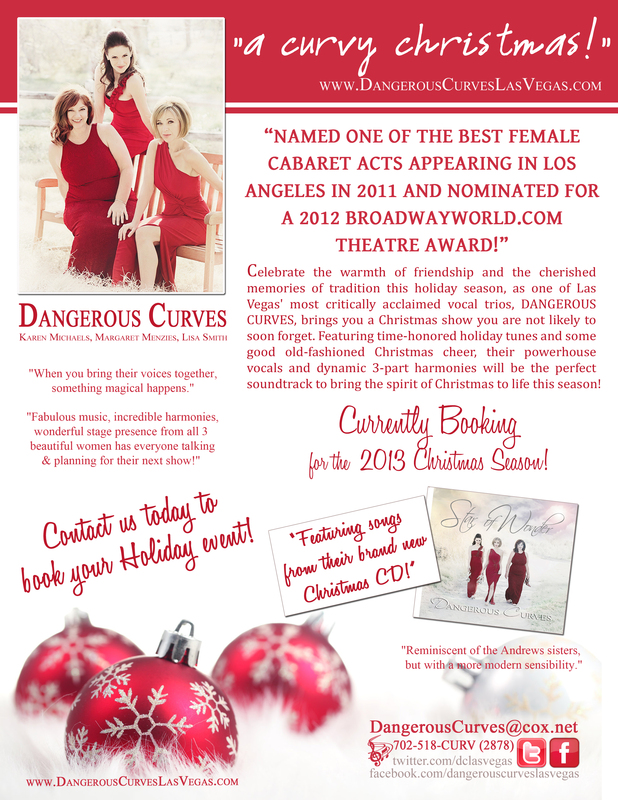 Dangerous Curves, 2012…it has truly been one of the most sensational years in Dangerous Curves history. And, while our history is rather short (should we simply say new? ), it has been filled with the love and support of family and friends. However, we never dreamed just how much support we would literally see and feel than when we did our first Dangerous Curves, Indiegogo campaign. Crowd-funding?! That’s for big stars and artists with HUGE email lists and…well, you know…right? NO! We really didn’t know the depth and scope of your huge and generous hearts! The above pictures show the fruition of that generosity in our sophomore CD called “Star of Wonder”, now available on iTunes, Amazon MP3 and of course, physical copies available by simply emailing us at dangerous curves@cox.net. 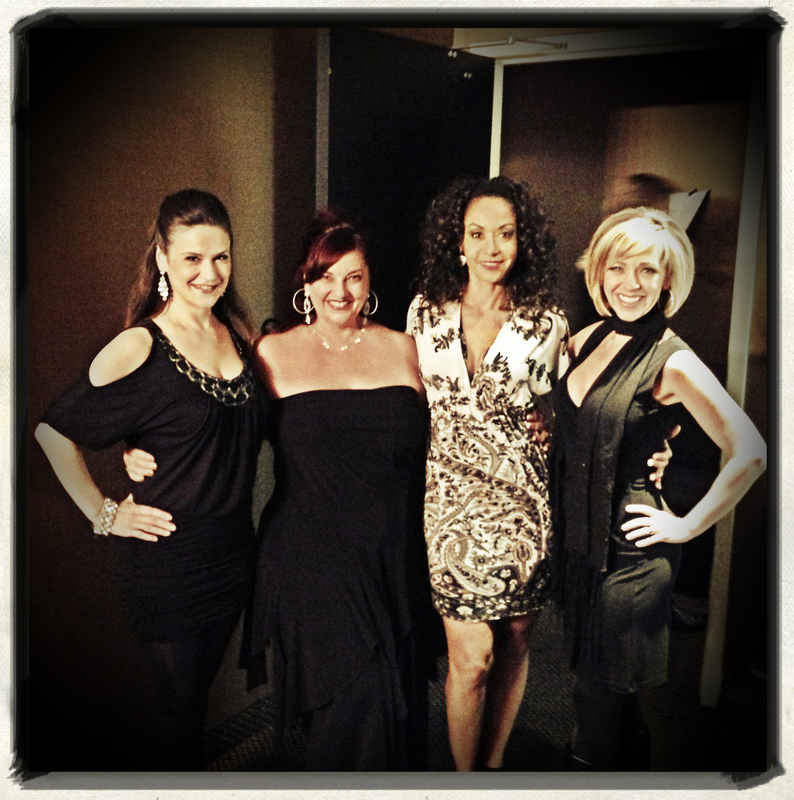 If that wasn’t enough, we have been nominated for “Best Cabaret Artist – Female” for the West Coast! WHAT?! We couldn’t be happier! If you have a moment, would you go and vote for us? Here’s the link to vote BroadwayWorld.com, you must complete the voting process in order for your vote to count. 2012. A year filled with new fans and friends, performances, nominations, our newest CD and best of all, the absolute knowledge, that someone is listening. Someone really cares about us and knows us and loves us. Friends, we love you, too. Enjoy your holidays and we wish you a most happy and joyous New Year. 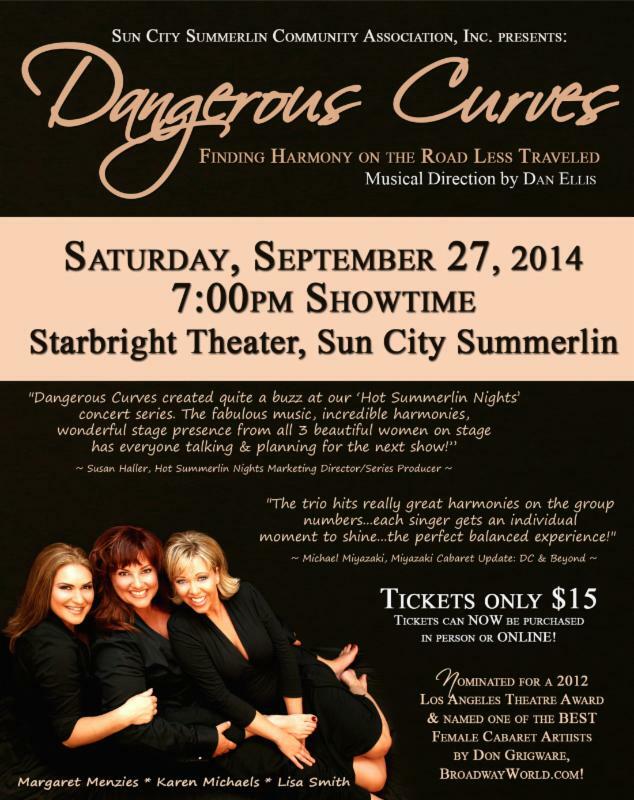 One of Las Vegas' most critically acclaimed female trios, and recently named one of the BEST Female Cabaret Artists Appearing in Los Angeles in 2011 by Don Grigware, BroadwayWorld.com, DANGEROUS CURVES (Lisa Smith, Margaret Menzies, Karen Michaels), are known for their spectacular blend of powerhouse vocals and delicious harmonies. 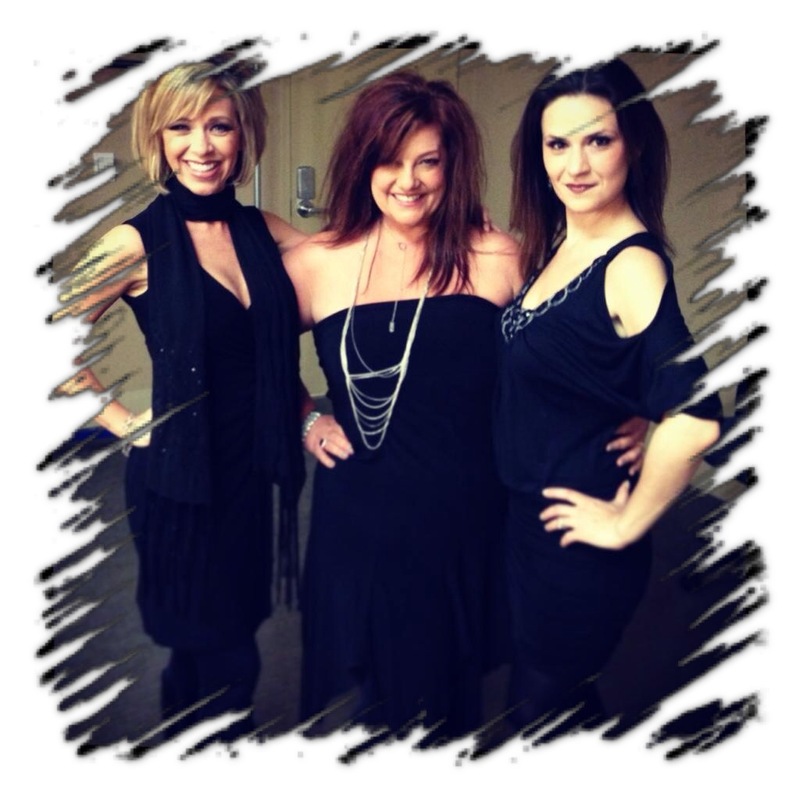 The group's popularity is also predicated on their ability to navigate through the timeless music of yesterday and an eclectic mix of Broadway, jazz, contemporary pop, rock, and even country. In short, they reinvent or “curvify” everything they sing. Each of these fair ladies bring to the group their own distinct personalities and strengths, proving that one can stay true to who they are as individuals, while working together to create something even greater. Beyond simply performing, Dangerous Curves believes in the strength of self and the beauty and empowerment of women, no matter their age, shape, size, or position in life. 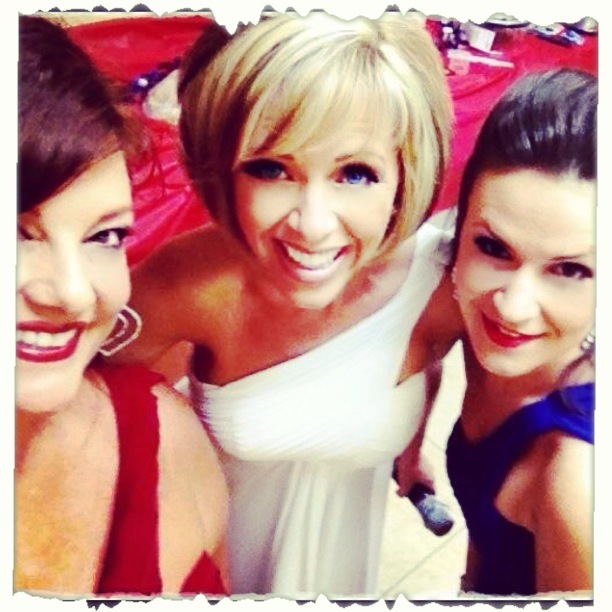 The trio has performed in many of Las Vegas' most renowned hotels, including The Flamingo, The Four Seasons, The Orleans, and Treasure Island. With an upcoming Christmas CD in the works, their first CD “Girl Talk” was released in 2009 and is currently available on iTunes!